KT conducted a number of 5G tests at the Olympic Winter Games in PyeongChang, Korea. 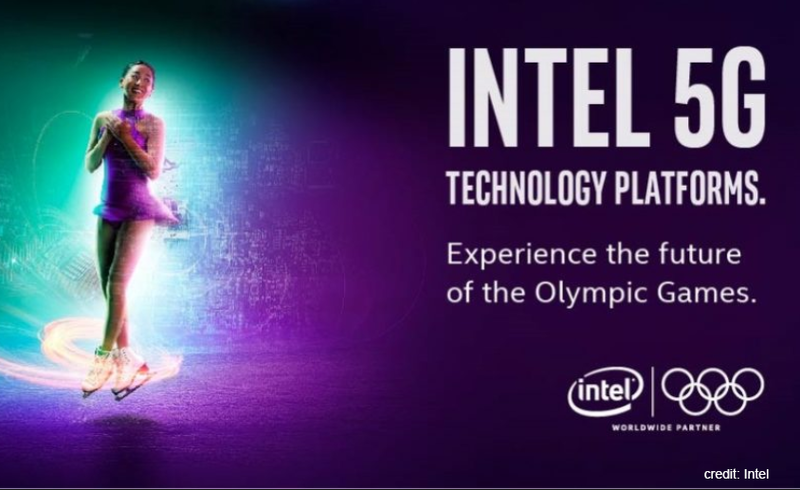 As an official partner of the Olympic Winter Games, KT installed optical fiber cables and the telecommunications infrastructure in 70 of the Olympics venues. A limited 5G trial service was established in collaboration with Samsung and Intel. The public was invited to view this at promotional areas in PyeongChang and in the KT 5G Pavilion in Olympic Park in Gangneung. Because planning for the event started several years ago, KT developed a "PyeongChang 5G Specification". KT is planning on launching a commercial 5G service in 2019 based in the 5G NR specifications, which were completed last December. Network building and optimization is planned for this year. 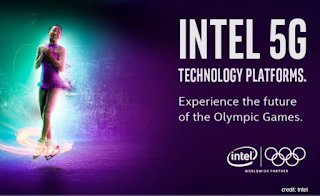 In a press release, Intel confirmed its collaboration with KT at the Winter Games. Intel said a total of 22 5G links were established at 10 sites. The 5G connections were used for image capture viewpoints, IPTV, virtual reality, Wi-Fi and other telemetry. The pilot demonstration showed multi-vendor interoperability. New services were shown to spectators and visitors in several Olympic venues and public areas. At Mobile World Congress, Intel is showcasing a 5G connected laptop that could be available commercially in the second half of 2019. Intel is collaborating with Dell, HP, Lenovo, and Microsoft on the design of Windows PCs featuring the Intel XMM 8000 series commercial 5G modems. The current design is a detachable 2-in-1 laptop with an early 5G modem and powered by an 8th Generation Intel Core i5 processor. Intel outlined its product roadmap for 5G silicon. First up is Intel XMM 8000 series, a family of 5G new radio (5G NR) multi-mode commercial modems, and the Intel XMM 7660 LTE modem. Intel XMM 8000 series: will operate in both sub-6 GHz and millimeter wave global spectrum bands. Intel is aiming to enable a range of devices to connect to 5G, including PC, phones, fixed wireless consumer premise equipment (CPE) and vehicles. Intel XMM 8060: will offer multi-mode support for the full 5G non-standalone and standalone NR, as well as various 2G, 3G (including CDMA) and 4G legacy modes. It is expected to ship in commercial customer devices in mid-2019. Intel is targetting broad deployment of 5G networks in 2020. Intel XMM 7660: Intel’s latest LTE modem delivers Cat-19 capabilities, supports speeds up to 1.6 Gbps, and features advanced multiple-input and multiple-output (MIMO), carrier aggregation and a broad range of band support. It will ship in commercial devices in 2019. Intel also announced it has successfully completed a full end-to-end 5G call based on its early 5G silicon over the 28GHz band. Intel says it is participating in dozens of 5G trials around the world. Just in time for Mobile World Congress 2018, Ericsson is introducing “a new tethered-aerial infrastructure product” – basically a base station in a balloon that is tethered to the ground – as a means of delivering mobile broadband in rural locations. We like this idea! 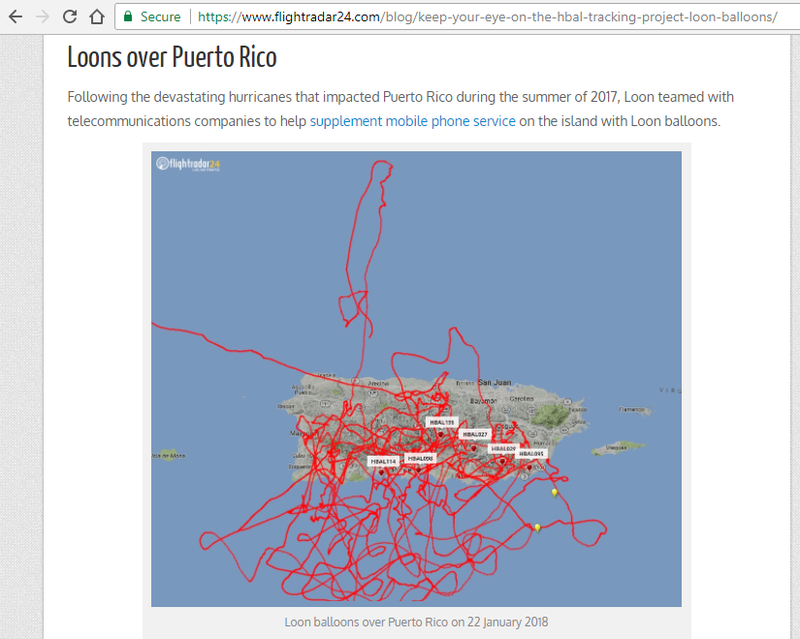 It sounds more reasonable than Google’s Project Loon (update below), which recently has been in service over Puerto Rico, or Facebook’s Aquila drone aircraft, whose current status and future prospects are murkier. Ericsson’s tethered aerial infrastructure is also being called a “Super Tower”. Essentially, it is a multisector LTE base station placed at a height of 250m (800 feet), perhaps 6X higher than the typical towers you might see alongside a motorway. The base stations, of course, come from Ericsson’s portfolio. The balloon – or aerostat, as it is properly called) was developed by Altaeros Energies, a Boston-based startup with funding from SoftBank, Mitsubishi Heavy Industries, Suhail Bahwan Group, the U.S. Department of Agriculture, the National Science Foundation, and RNT Associates, wholly owned by Mr. Ratan N. Tata, former Chairman of Tata Sons. Altaeros founders come from M.I.T. From the 250m height, the SuperTower base station can cover the equivalent territory of about 30 base stations. This will bring compelling economics in lightly-populated rural areas. The helium-based aerostat can be inflated and deployed in 24 hours. The company says that the cost of helium is negligible in an overall operating budget. The floating up employs 3 tethers. If all three were to break, onboard valves would crack open and release helium, causing the balloon to slowly descend. The company says its balloons should be able to survive windstorms of up to 160 kph (100 mph). It should be noted that Altaeros has also been working on a different version of its helium-filled aerostat that floats a wind turbine at the 250m height. Wind speeds at this elevation are typically stronger and more consistent than at ground level. Late last year, Altaeros deployed one of its SuperTowers in rural Maine, but there has been little reporting about the outcome of this pilot run. Of course, an LTE base station floating at a 250m height does present a navigational hazard to low-flying aircraft. In the U.S., the aerostats need FAA permission, but just like for skyscrapers, much permits are obtainable if due safety considerations are met. In addition to providing rural broadband, the SuperTowers could also be used for temporarily delivering Internet access following natural disasters or for special events, such ay s outdoor concerts or festivals. The military reportedly is interested in using the aerostats rapidly deployable communication networks. Similar aerostats are already used for border protection and other surveillance applications. Ericsson plans to offer the SuperTowers to mobile operators in late 2018. In contrast to Altaeros’s tethered SuperTowers, Google’s Loon balloons can be literally anywhere the wind takes them. The tetherless loons typically fly in the stratosphere at heights of about 18,000m (60,000) – above commercial air traffic. X (formerly Google X), which is the subsidiary that Alphabet has established to turn this science project into a commercial business, attempts to steer the balloons by adjusting the altitude to catch prevailing winds. This is a difficult proposition for network planning even in good weather because to provide service to users on the ground it is essential that the floating base station not drift too far away. The Altaeros SuperTower balloons are directly wired into the backhaul network in a predictable structure. The backhaul from a Loon balloon can travel to other Loon balloons first before eventually finding a downlink to a ground station. Like the Altaeros configuration, the Loons carry a lightweight LTE eNodeB enabling them to connect directly to the handsets of users below. Google initially launched pilot trials of Loon balloons in the southern hemisphere in 2013 from launch sites in New Zealand, Chile, and Argentina. A real-world use case for the Loon balloons emerged after Hurricane Maria struck the Caribbean in late September 2017 and devastated the communications infrastructure in Puerto Rico and the U.S. Virgin Islands. Two weeks following the disaster, the FCC granted a provisional license for X to launch its balloons in Puerto Rico in hopes of alleviating the dire situation – nearly 90 percent of the islands base stations remained out of service two weeks after the storm. So how is Loon performing in Puerto Rico? At this point, we only have anecdotal evidence. X has only disclosed limited data on the program. We know, for example, that in the first week, X was launching the loon balloons from Nevada and guiding them all the way to Puerto Rico using its algorithms and machine learning. On November 9, a tweet from the team at X said the balloons were supplying basic Internet connectivity to 100,000 AT&T and T-Mobile users in Puerto Rico – good progress! We also learned that Nokia was supplying base stations for Project Loon. SES Networks and Liberty Cablevision provided ground station connectivity in Puerto Rico. What is also interesting to see are user reports and balloon sightings shared on social media, especially when the balloons have drifted west to the neighboring island of Hispaniola. The website Flightradar24.com even provides tracking maps, from which we surmise that connectivity at any one spot will vary with the wind. A series of tether balloons could serve the same purpose and maybe at lower cost and greater reliability.